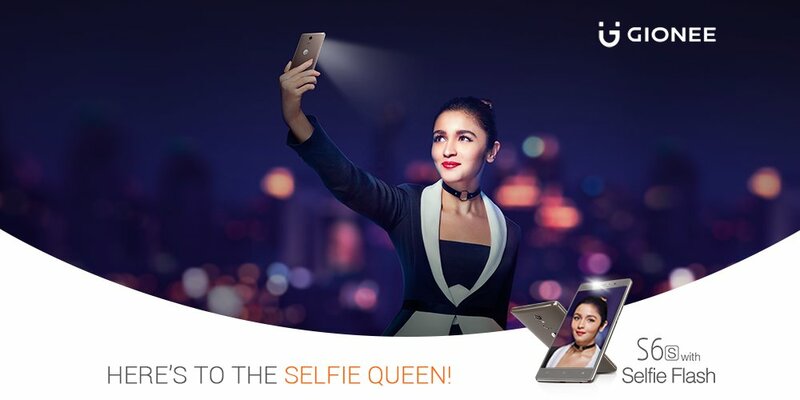 There is a very thin line between Celebrity Endorsement and Influential Marketing in corporate branding today. Albeit the difference between the two is massive, the line seems to be blurring with time. Not everyone understand what this means exactly. In today’s world, where everything seems to overlap, it’s easy to mistake one method for another. This does no harm as an observer, but if you want to make your influencer marketing strategy operative, then it’s very crucial that you know the difference. That brings us to the main question. What exactly is Celebrity endorsement? Celebrity endorsement attaches the fame of a celebrity to a brand or product. The popularity of the celebrity is used to the advantage of the product. People often consider celebrities of their choice as a role model. They like to associate with them and engage in doing thing the celebrities would do, or buy products that the celebrities would buy. They tend to feel that doing what their role model does, is likely to make them similar to them. It’s a funny way of portraying things but it does a brilliant job in playing with the psychic working of a person. In corporate branding, this strategy does the magic of getting people who are idolized to comrade themselves with your product so people want to buy it. In a celebrity endorsement, the celebrity is the face of a brand message. She/he is the one who calls the brand their own, irrespective of whether they contribute monetarily. The brand does the scripting, producing and distributing of the content, while the celebrity helps relay it. From the target market’s point of view, it’s a message from the brand to them, using the celebrity as a messenger. This makes a huge difference to the brand and specifically to those people who idolize that particular celebrity used in the endorsement. Sachin Tendulkar doesn’t need to be a fashion expert to recommend Van Heusen, and Deepika Padukone doesn’t need to be a technology expert to recommend Window’s Surface. They are so well known it doesn’t matter that the product lies solely outside their field of expertise. They are faces that the companies’ target markets will recognize and associate with their brand to. Celebrity endorsement is the ones which you can see, hear, but not interact with. Communication with the celebrity runs one way as a single message is leveraged on a platform, like a television broadcast that is intended to reach as many people as possible. Again, the drawback here is the reach, which is a big deal. You cannot relate to the brand in this situation nor have a conversation in proximity with the celebrity that is endorsed with the brand or product. This again creates a rift between the audience and the brand as the process of two-way communication is missing. Looking at surface-level definitions of “celebrity endorsement” and “influence marketing” in corporate branding, you can see that the strategies seem to overlap. On the other hand, Influencer marketing creates word-of-mouth advertising using people that are trusted in certain circles. These are people who actually have the power to influence people not only because of their fame, but also because of their experience with a particular brand or product. Influencers are specialists. They’ve built communities and associates around themselves in a very niche space. When a brand sends women bloggers their newly launched intimate wash, to review as part of an influencer campaign, the goal isn’t infamy but the generation of true commendations within the targeted community. The influencer is constantly in a running dialogue. They are answering questions and engaging in discussions by going into further detail on points of curiosity with community members. This group is well-informed and receives messages from the influencer long before the brand enters the scene. When the influencer produces a piece of sponsored content, it’s part of an ongoing conversation that the community is heavily invested in. They are interested in why the influencer says what he says. The audience tries to connect with the influencer and tries to think from his shoe. In influencer marketing, the influencer is professed to be producer of the entire message. If they are into blogging, they are the ones writing the entire post; if they are a YouTuber, they are the ones scripting and editing the video. From the beginning to the end, the entire message is considered theirs, and that lends it a certain credibility and authenticity that celebrity endorsement seldom emulates. With this strategy, influential people are building up the brand’s image in the minds of their followers. However, like we discussed above, there is a grey area between celebrity endorsements and influential marketing. This is a fine line where certain features of both strategies are mixed and matched, leading to overlapping of the two. For example, there are celebrities who have endorsed in a product or a cause because they really experienced it and felt the need to let people know. They don’t necessarily need to edit or distribute the commercials, but the message can be their own story. While these two strategies are extremely capable and independent of one another, the savvy marketer must know whether they are engaging in influence marketing or a celebrity endorsement, or if they wish to blur the lines between the two, by borrowing aspects from both, they should be well aware of that too. 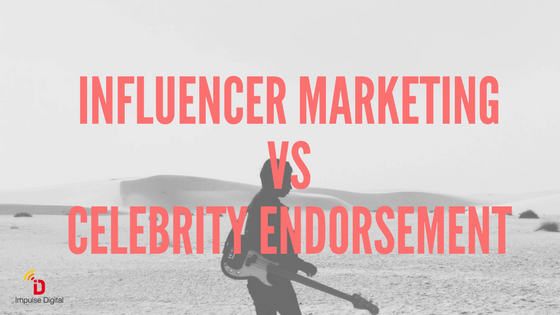 Having influencer marketing treated like a small-scale celebrity endorsement, or expecting a celebrity’s endorsement to have an impact like that of an influencer’s, is not a great idea and can complicate the entire process of marketing.